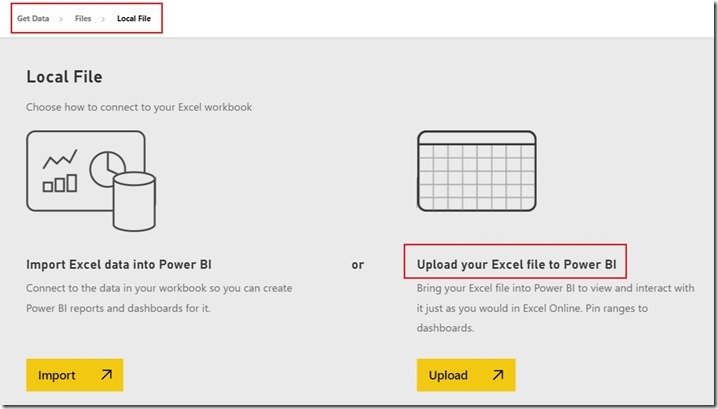 Microsoft has introduced the Q&A feature not only for power pivot table but also for on premise data sources. 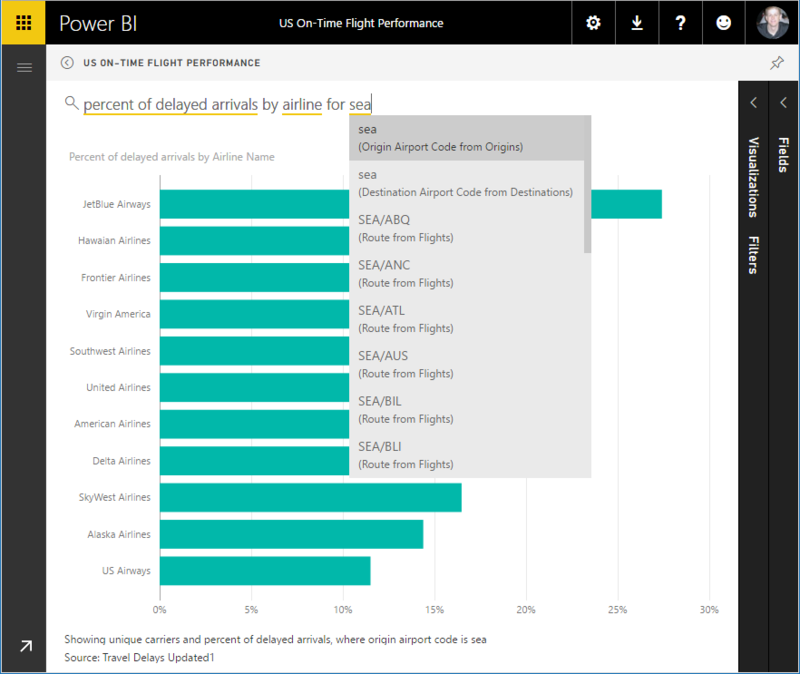 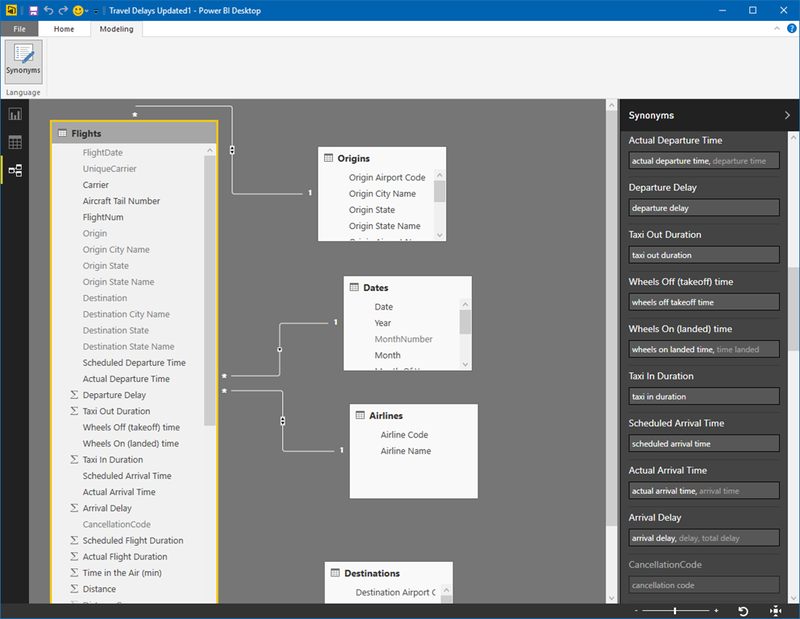 Q&A now works with SQL Server 2016 Analysis Services tabular models being access in Power BI via an enterprise gateway. 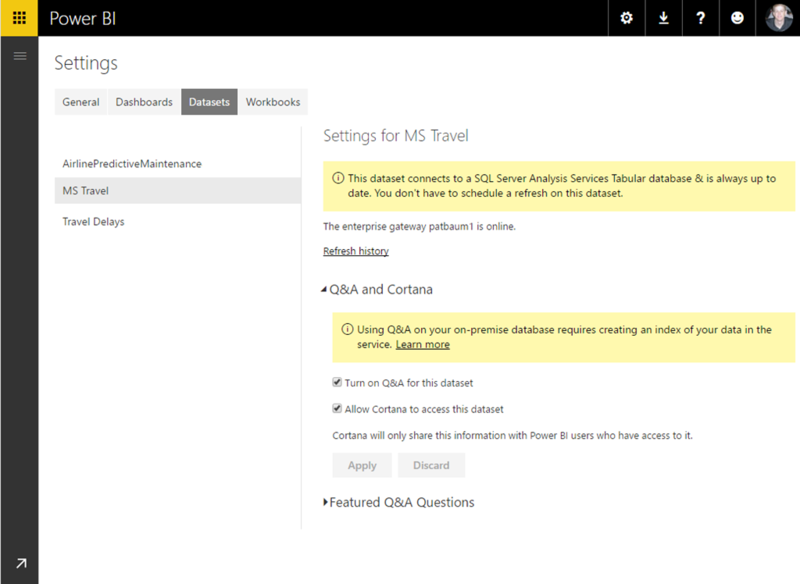 Q&A now provides improved auto-complete while typing questions, more intuitive visual cues to help you navigate and adjust your question, and more control to deal with complex or ambiguous data. 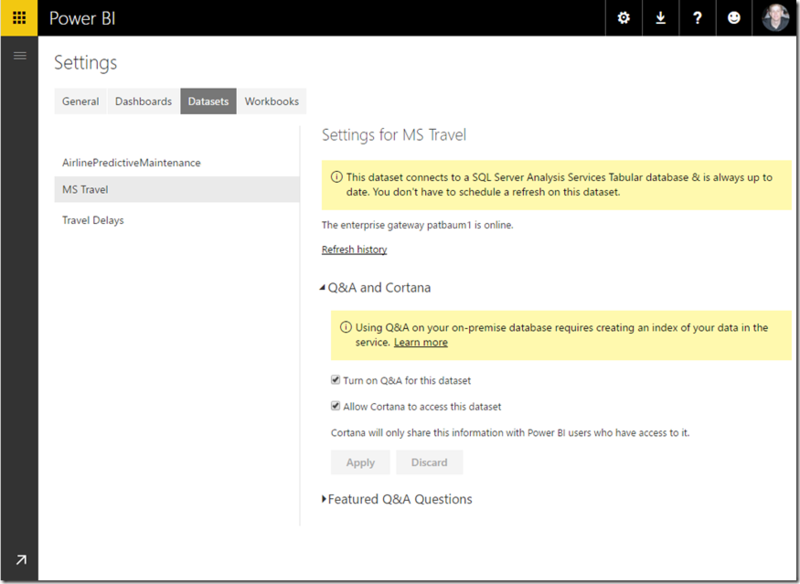 In addition to this, the overall Q&A experience has been updated to have a cleaner look and feel.Switching filters or values in a question is a simple as selecting the value and picking from suggested alternatives. 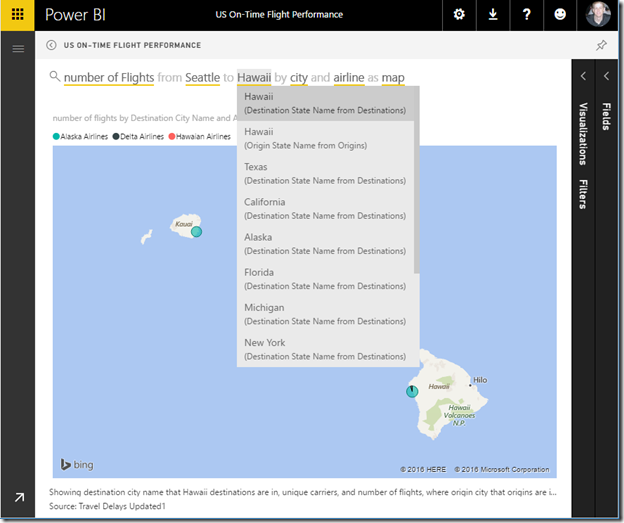 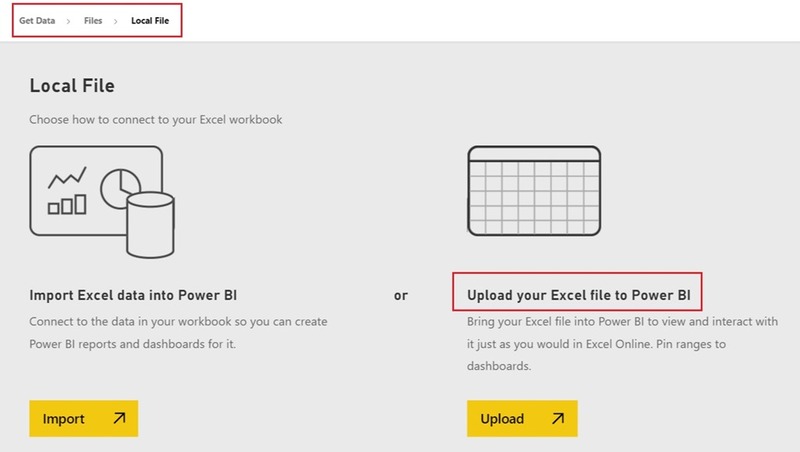 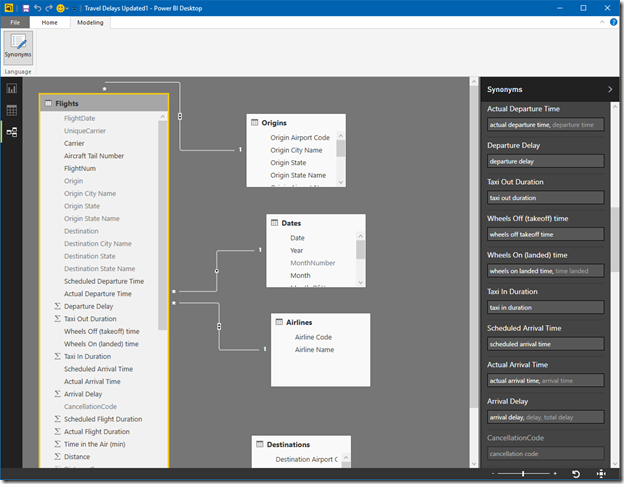 the ability to add synonyms to your model in Power BI desktop is also now available. Adding synonyms lets you include alternate names for tables, columns and measures, that Q&A will use to make it easier to find data when asking questions.